The chapter begins with the acceptance of the proposition, “organisms are complex systems.” Organisms are from organisms, because formation of an organism requires a lot of prerequisite conditions; complex systems are included in a class of systems that require a lot of indispensable preconditions (fundamental conditions) for their formation (ontogeny). Fundamental conditions are prepared by a long time evolution process, so organisms cannot self-organize; self-organizing systems cannot be complex. 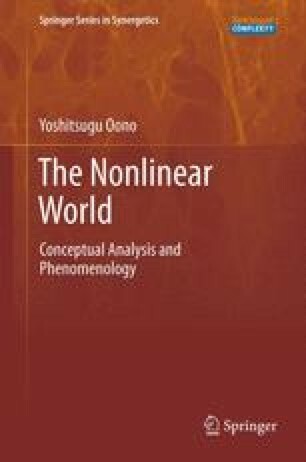 Thus, to aim at conceptual analysis of and establishing of phenomenology of fundamental conditions must be a key task of the genuine complex systems studies. To this end we must pay due attention to actual biological systems. It is obvious that the so-called complex systems studies studied mostly pseudocomplex systems. The chapter concludes with some preliminary but general phenomenological observations about evolution of fundamental conditions (e.g., how complexity evolves) and about organisms.